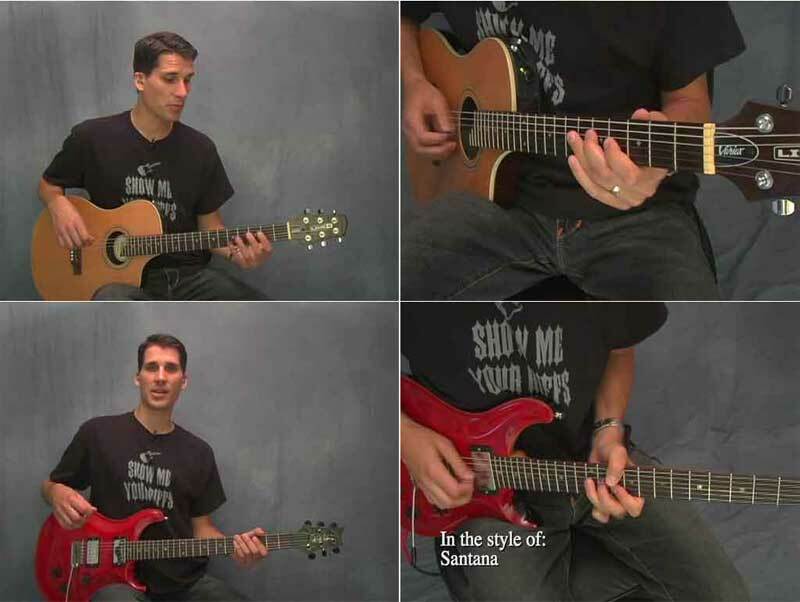 Desi Serna – Guitar Modes: The Modal Scales of Popular Music. This video program is intended for intermediate to advanced level guitar players who have already learned how to play major scale patterns and chord progressions by numbers. Did you know that modes are used all the time and everything is actually in a mode? Would you like to learn how most styles of popular music stem from the seven major scale modes? What if you could understand the chords and scales used in a song just by the way it sounds? How much better would your own compositions and improvisations be if you had the ability to make your guitar sound happy, sad, jazzy or exotic? Guitar Modes – The Modal Scales of Popular Music DVD is a two and a half hour video program that demonstrates the origin of major scale modes including the seven modal scale Greek names Ionian, Dorian, Phrygian, Lydian, Mixolydian, Aeolian and Locrian. You’ll finally get a simple and accurate explanation of modes that clears up all the myths and misconceptions that are so commonly taught. You’ll easily understand and apply one of music’s most exciting concepts to your own improvisations and compositions. It’ll be the last modes lesson you’ll need guaranteed! Guitar Modes – The Modal Scales of Popular Music DVD is taught by music theory expert, guitar teacher and publisher Desi Serna and is based on his book Fretboard Theory Chapter 8. This lesson material is suitable for both acoustic and electric guitar. Desi hits a homer with the Guitar Modes course. It is a clear concise explanation of a much confused subject. It is useful for anyone who is still confused on modal playing and will be crystal clear once the time is spent on the course. It is well worth the money if you want to truly improve your playing. This DVD nails the modal concept and is down to earth enough to put it in terms that could be easily understood. Desi ‘gets it’, teaches in a way that is non-threatening, communicates really well, and re-inforces the concepts over and over again. The explanation of modes, what they are and how they apply to scales & chords is excellent. The instructor is clear, concise, and provides a ton of examples to learn from. The material isn’t overly complicated and easy to digest. Anyone who wants to increase their improvisation skills or start learning the theory behind what sounds good where needs this DVD. This is one of the best instructional tools you can add to your collection. Wow ! What a great series by Serna you have posted! Looking forward to taking my playing to a new level. I love jazz so much. Will like u to help me.